The Theatre of Diplomacy’, as proclaimed by the GIMUN Crew, the model United Nations event was conducted this week, dated from 8th to the 11th of October. The commencement was pronounced by the arrival of around a figure of 400 students from a variety of educational institutions of Pakistan. The management crew for the occasion came from one of the oldest clubs in the society culture of GIK, SOPHEP. SOPHEP, with its inductees and volunteers every year, sets out sail to bring the coherent, as well as conflicting issues of the young minds about the globe to one common platform, the GIK Model United Nations. The event was sponsored by Unilever and GlaxoSmithKline. The afternoon reception transitioned to a cultural cabaret, arranged out in the open air, in which the guest students were dressed up in flamboyant and chromatic costumes, each representing and discerning between the versatility of cultures in different countries/continents in the world. The following day awaited a hectic routine of committee sessions and rehearsals. The flaring discourse of the hyper delegates, the diplomatic gestures of the judges, and the claps of the spectators constituted the entire act. A concert by the young and aspiring band of Pakistan, Entity Paradigm, was arranged for the participants. 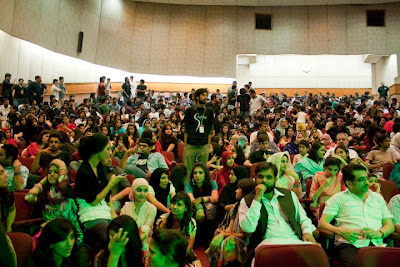 The Agha Hassan Abedi Auditorium was jam-packed with attendants on Saturday evening. Strict security and escorts were deployed at the over-crowded venue. The next day had the same MUN drill as the last day. 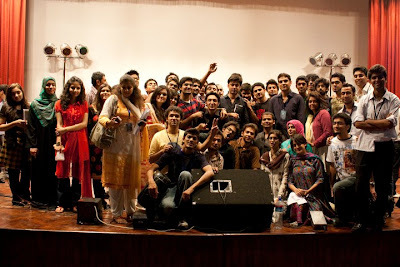 An evening soiree was planned by the organizers at the Faculty Club, GIK. The theme for the night was Halloween. You could see from a far, the painted faces and masks, along with the entire attire that comes with the Halloween package. 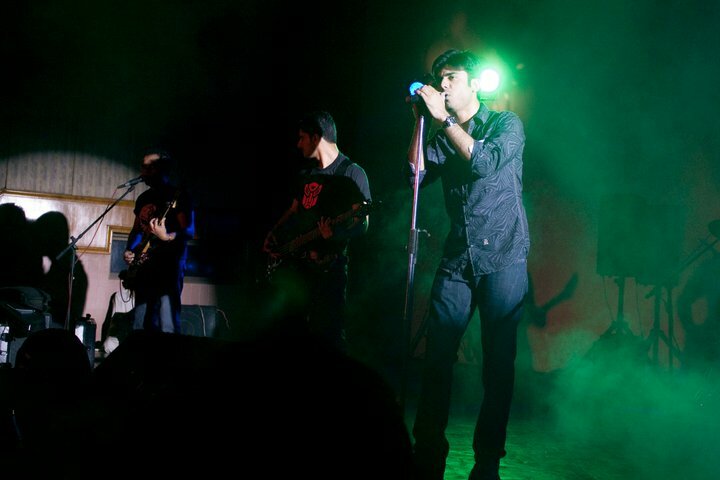 The Faculty Club was heavily lit up and music was in the ambiance. A grand event dinner followed the party, after which, the participants were directed to the Agha Hassan Abedi Auditorium for a concert by the pop-rock legend of Pakistan, Ali Azmat. The concert that night was sheer head-banging and ecstasy for a consecutive 3 hour frame. 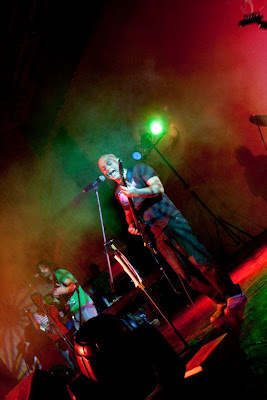 Ali Azmat did not at all wear out and kept singing till the crooning crowd was too exhausted to demand any more of the commendable and passionate performance. The last day was pre-scheduled to have an interactive feedback session between the society members, and the participants. The ritual was followed by an address by the Pakistani Cricket legend, a struggling philanthropist, and a fearless politician, Imran Khan, as the Chief Guest for the closing ceremony. All in all, from a birds eye view, SOPHEP succeeded on to execute a well sorted out and efficient work schedule. Mostly, the participants raved about the event, as a post-event evaluation by the GIKI Campus Reporting team. The volunteers, along with the young liaison and other team volunteers worked diligently throughout the event, to provide a great show to the outside audience, as well as the GIKIAN students.